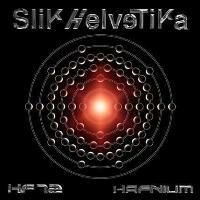 ’Hafnium’ is the title of the third release from SLIK HELVETIKA and to be honest... a release that<?xml:namespace prefix = o ns = "urn:schemas-microsoft-com:office:office" /> I easily could live without. Well... it doesn’t mean that this album is pure crap, ‘cause it’s not. There are a few decent tracks to be found. A track such as the opener “Misery” is quite good and the next one “Money Tree” is very enjoyable with its catchy hooks and the very catchy chorus. But well... that’s about it. Except for a few riffs here and there (quite heavy riffs) there are nothing here that I haven’t heard better before. Expect a heavy version of a mix between UGLY KID JOE and MOTLEY CRÜE with an alright production.